In January 2018, Tamron certified products as being environmentally friendly in accordance with the company’s product assessment rules. Under those product assessment rules, products are evaluated for environmental friendliness by comparing them with previous products in areas such as resource savings, longer service life, greater compactness, energy savings, and ease of disassembly. Even before that, products must strictly adhere to domestic and international regulations on chemical substances and be free of harmful chemical substances. Tamron takes on such environmental friendliness of products in our mission as a manufacturer. Activities in that are demonstrated through the Tamron Eco Label, an environmental label based on Tamron’s self-declaration. The Tamron Eco Label symbolizes an eye gently looking at our economy, society and environment. 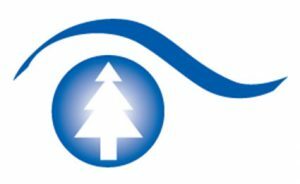 The eyebrow symbolizes a flowing stream of wind, air, and water, the pupil the earth in green, and the tree in the pupil our work for the three Rs of reduce, reuse and recycle.